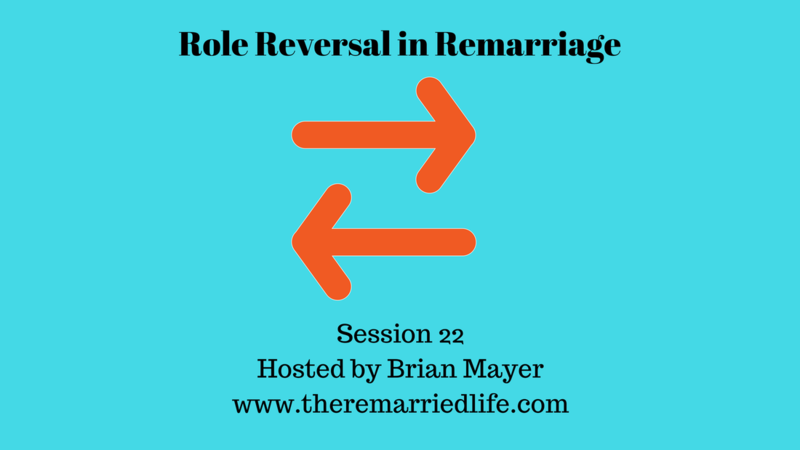 Today’s episode is called Role Reversal. In Hollywood there have been many movies that have this idea of a body swap. As we know the fantasyland of film they can actually create stories where people physically move into another’s body and brain. Think of movies like, “Freaky Friday,” “Change-Up,” “13 going on 30,” or “Big.” Of course we can’t do this in real life, but we can do something similar. In couples counseling session, I will often work with couples to help them verbalize their emotions and what is going on inside of them. This helps to bring the subconscious to their own conscious awareness and then secondly to bring it to the partner’s awareness. However this can take much time and lots of sessions before each person can get past many roadblocks with themselves and in their relationship before it can be heard correctly. Often when these roadblocks become difficult to get through, I will often assign a behavioral component outside the therapy room to supplement the verbal connections we are trying to make inside the therapy room. The goal of both of these is to create more awareness of the importance of the emotions that each person brings to the table. In my own relationship, my wife generally cooks the meals and I generally clean up the dishes and the other messes that we create. Sometimes my verbal statements about the meals are good and sometimes there may be something in my statement that I am either trying to speak negatively to or that it may be construed as that way whether I meant it or not. I will talk about the example of the first meal she ever made for me which was chicken enchiladas. In this case, switching roles so that I might cook more often and she cleans could potentially soften our positions on the issues more. What types of role reversals can you do? The possibilities are endless. Recommend the role reversal for one week. This will help you get really immersed in what the other person truly has to deal with in this role. This is like anything that if you only do it for a day or two it may not have the profound effect to produce significant change. I also recommend purchasing a journal called “How I Appreciate You” in which you each take turns writing in the journal and sharing every day what you have written in the journal. This can be a powerful supplement to the behavioral changes you are making. What did you learn about your partner? What will you do differently in the future with regard to this task? What does this mean on a larger scale for our relationship? The goal here is to not simply switch activities to give each other breaks, but again we are trying to understand each other on a deeper level. If you feel like you are still not getting there then keep at it and consider some couples counseling as well to compliment what you are doing at home.